It was preposterously inconvenient. 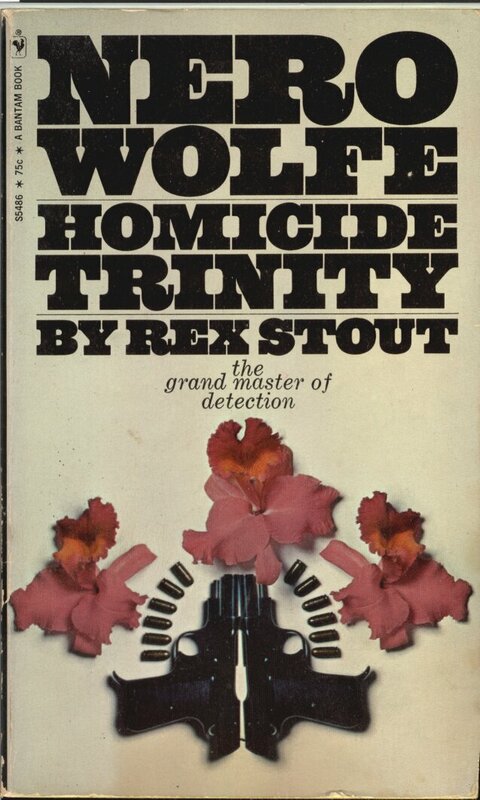 The outer door was locked as usual, yet there she lay – on Nero Wolfe’s carpet, in Nero Wolfe’s office, strangled by Nero Wolfe’s own necktie! “Here’s the gun I’m not going to use to kill my husband.” That’s what she said. 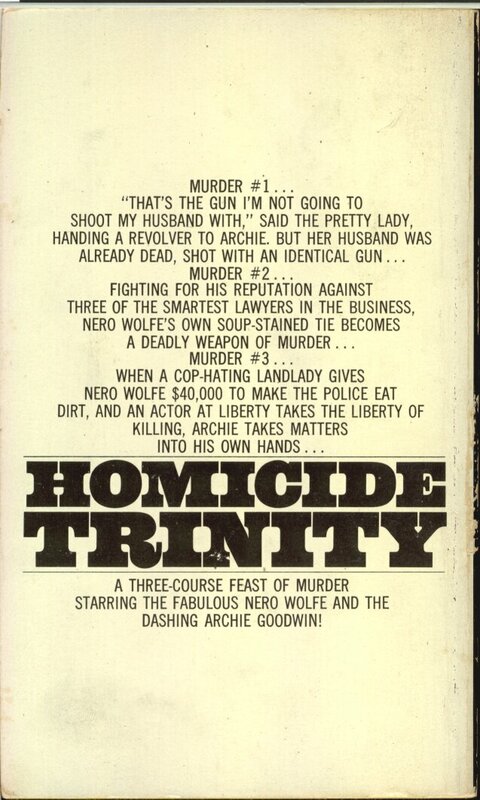 But he was killed, and with that gun, or with one just like it… and Archie Goodwin had tampered with the gun himself. Under suspicion for murder and too angry to deny it, harried Hattie Annis offered 42 grand to Nero Wolfe to make the cops eat dirt. If she was innocent, you can ask her whether he earned his fee. On the reverse of this jacket you will find the bill of fare for this three-course feast of murder, mystification, and masterful deduction. 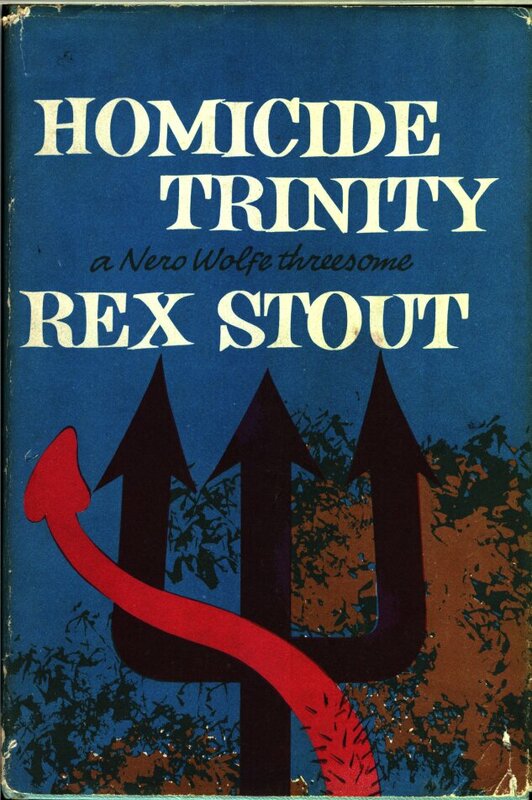 As his large and loyal fan club will attest, Rex Stout’s famous threesomes are fully as delightful as his book-length novels, which is to say that they are peerless examples of mayhem de luxe. 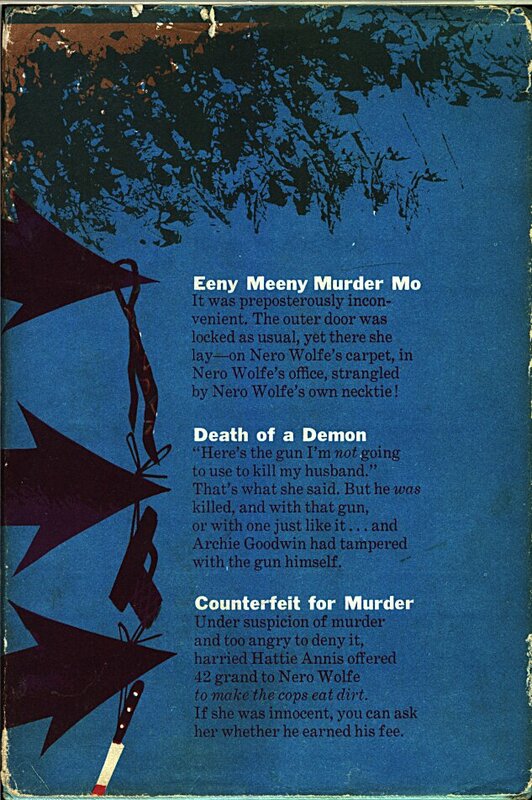 Whether you read these stories purely for entertainment and relaxation, or enjoy the challenge of matching wits with Nero Wolfe and his factotum, Archie Goodwin, here once again is the creme de la creme of crime presented for your pleasure.